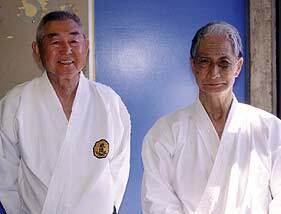 For me though, it was November 8, 2001 (seven years earlier) that I will remember Sensei Nishiyama for. This was the day my Sensei Richard Kim passed away and Sensei Nishiyama could see how I was visibly broken up. He said to me very softly and kindly in his broken English, “you come to my dojo and train is OK now”. Wow, I will never forget this kindness. Hidetaka Nishiyama (H.N.) – I was born in Tokyo Japan October 10, 1928. D.W. – When did you actually begin your martial arts training and in what martial art did you start? H.T. – I began, as is the custom in Japan, on the 5th day of the fifth month at the age of five. I started in kendo. D.W. – How far did you get in kendo? H.N. – I continued it right through college and received my 3rd Dan in kendo, but then karate took over my interest. D.W. – Why did you start karate and with whom did you first study? H.N. 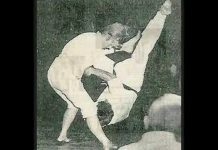 – I started when I was 16 years old in 1944 as it was very interesting for me and I wanted to learn self defense. In those days karate was not very popular. 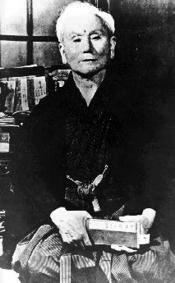 My teacher was Master Gichin Funakoshi (the Okinawan master acknowledged by many to be the father of Japanese karate). D.W. – Where did you actually start, at college or in the Funakoshi dojo, and what was the training like there? H.N. – I started training in Funakoshi’s dojo and the training was mostly kata, I would say about 80% kata and 20% kihon. I remember doing the same kata over and over and over again. In fact we spent the first year and a half just on Heian Shodan. D.W. – Who actually taught most of the classes? H.N. – Well Master Funakoshi was already very old, I think in his 70’s, so he and his son Yoshitaku shared the responsibilities of teaching about 50/50. But I remember he was a very serious person and any mistake in the kata we would have to do it over and over again until there were no mistakes. D.W. – You mentioned Heian Shodan. 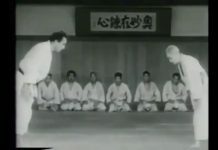 Who actually changed the order of the first two katas around and why did he do that? H.N. 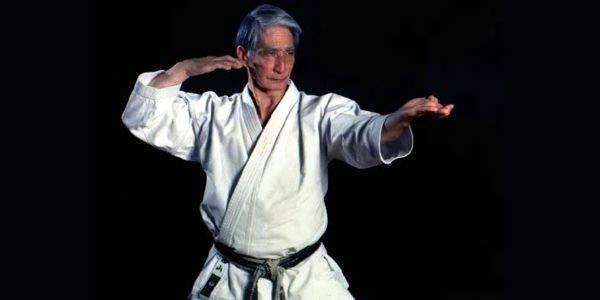 – I believe it was Master Funakoshi who changed the order and the reason was that Heian Nidan was much simpler to do so he changed it to Heian Shodan and Heian Nidan became the old Heian Shodan. D.W. – How was the training different between the Takushoku College and the Funakoshi dojo? H.N. – The training at the college was very hard in comparison to the Funakoshi dojo. 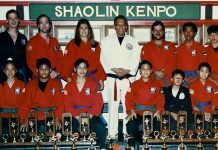 As an example when we would start we would start with about 200 new students and our dojo was quite small so we had to eliminate students. The training was very hard until there were only about 10 left and then we would go back to normal training. D.W. – What was normal training like? H.N. – Well even the normal training was hard. We would train before the classes began and then on our lunch time, and then after school till about 8:00 p.m., then we would study, and we did this six days a week. We would all look forward till Sundays as we would only rest and no training so we could train hard again the next week. D.W. – Did Master Funakoshi ever teach at the College dojo? D.W. – When did Mr. Nakayama come into the picture at the College? H.N. – When he returned to Japan in the late 1940’s from China, he started to coach at the College in the physical education department. D.W. – Who was responsible for forming the JKA (Japan Karate Association)? H.N. – I along with the other seniors in I think 1951 were responsible for forming the JKA, as it was necessary to organize as karate was beginning to become popular. In fact it was my uncle who was a lawyer who formed the incorporation. D.W. – Was Master Funakoshi in favor of the JKA being formed? D.W. – Was it very political back then? H.N. – Well I think that any organization has this in it. D.W. – When and how did the first split it shotokan happen and why? 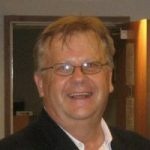 D.W. – Tell me about the famous JKA Instructors Training Program — who ran it and when did it start and end? H.N. – It never has stopped; it still is happening today. It was started in 1957 because karate was becoming so popular and we needed instructors to teach. So what we did was take the best from the College team and these hand-picked graduates were put into the Instructors Training Program. We had two levels of this program, A and B. The A group was Sandan (third degree black belt) and up and were graduates, the B group were senior students, but this did not last. D.W. – Who was in charge of the day-to-day teaching of these classes and how long was the course? H.N. – I was in charge of the actual teaching on a day-to-day basis. In the beginning it was only one year long, but then it was changed to be two years as one year was just not enough time. D.W. – Who were some of the more famous graduates from this training? H.N. – The first two graduates were Mr. Kanazawa and Mr. Mikami, after them there were many, including Mr. Enoeda and Mr. Shirai and Ochi etc., etc. D.W. – Whose idea was it to send these people abroad and propagate karate worldwide? H.N. – No, this was not the idea. Many countries were contacting us asking for instructors to come to their countries and teach, so we would send them instructors. D.W. – How long were you in charge of the instruction at the JKA Instructors Training Program? D.W. – What was the emphasis in the Instructors program? H.N. – The emphasis was on body mechanics and how to instruct properly. D.W. – Why were the graduates of this program so good? Even until today there have never been a better group from any style who have influenced the world of karate so much. H.N. – I don’t know why. I think it was because we had a systematic training of kihon, kata. It was very organized. They were professionals. The training was very difficult. I am not sure if other styles had this type of training. D.W. – Where did the idea come from to have this Instructors program? H.N. – It was the JKA director’s idea to form the Instructors Training Program. 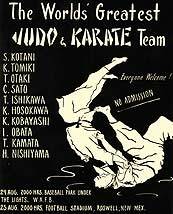 It was nothing new, as Judo had this type of program in 1953. They would first train athletes, then train champions, and then train instructors instead of retiring from Judo. D.W. – Is there anyone person who sticks out as exceptional from this training program? H.N. – There were many but I think Mr. Kanazawa was exceptional, even though he left the JKA. There were many very good people, like Mr. Enoeda, Shirai, Mikami and many others as well. D.W. – Why did you first come to the USA? H.N. – I think it was 1963. The US military SAC (Strategic Air Command) and Mr. Mel Bruno invited a group to come to the USA and demonstrate for the military and I was part of this group. D.W. – Who else was in that group? H.N. – Mr. Mifune was in charge of Judo, Mr. Tomiki was in charge of Aikido and I demonstrated karate. It was all about combat training. D.W. – How did they find out about these arts? H.N. – Well many US servicemen were still in Japan after the war and many were training in the various martial arts. D.W. – Just as a side note, do you know when the first karate tournament was held in the USA? H.N. – I think it was in 1961. D.W. – USA students versus Japanese students — how do they differ and who is better? D.W. – What if they move to Japan and live there and immerse themselves completely in the Japanese culture? H.N. – I still don’t think it is possible. They maybe will be able to go OSSS (OSU), but they will not understand the Japanese culture. I don’t think so. D.W. – Have any of your students ever been able to understand it? D.W. – How has karate changed over the years? H.N. – Well even when I first come to this country few people new karate. Now everyone knows karate and also there has become a big interest in competition. D.W. – Your organization, the International Traditional Karate Federation (ITKF), what is its purpose and goals? D.W. – How long do you think a student should train before competing in competition? D.W. – Do you think that competition is good for people? H.N. – Yes I do think it is good for people as long as they understand what the purpose is of what they are doing. For example, the purpose of kickboxing is to just win similar to boxing. D.W. – Then what is the purpose of traditional karate competition? H.N. 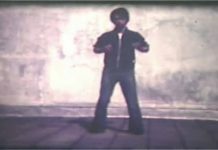 – The purpose is to understand body mechanics, understand power and speed of the karate technique and understand contraction and expansion. D.W. – How then does the WKF (World Karate Federation) and the ITKF rules differ? H.N. – In the ITKF we have exact standards of what we want to be a point, but in WKF they do not have the same standards. They only care if a punch scores to an area. This is what they consider a point. We consider many things like expansion and contraction. H.N. – I don’t know why. Maybe it’s because I have as a mission to preserve traditional karate and all that it stands for and when some people want me to bend, I will not. I must be very strong and cut down hard against these changes they want. I must preserve karate as an art for the next generation. H.N. – The lower stances developed in the Takushoku University. Yoshitaku, Master Funakoshi’s son, introduced them I think. He went away and trained somewhere, but no one knows where or who with, and when he came back we adopted these changes. I cannot find out where he went. No one gives me a clear answer about this. D.W. – Back to the JKA. When did you quit the JKA? H.N. 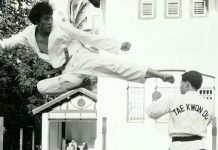 – I did not quit the JKA. In fact I still support them today. D.W. – Now that there are two different factions within the JKA, which side do you support? H.N. – I support both sides. Given my position in the ITKF it would be difficult for me to support only one side. I must be neutral. D.W. – Why did master Nakayama not leave a successor when he died? H.N. – I don’t know why. I think maybe because he died quite suddenly. This is a mistake I think. D.W. – Do you think that they will ever get back together again as one JKA? H.N. – I hope so, but I don’t think so because being martial artists they have big egos. (Note we both laughed very loud). D.W. – What was Master Funakoshi’s greatest contribution to karate? H.N. – I think it would be his introduction of karate to the educational system (of Japan), and therefore it was taught to many young people all over the world. D.W. – I ask this question to everyone: did you ever meet Bruce Lee and what was your opinion of him? H.N. – I met him twice. My student John Saxon brought him in to meet me here at the dojo. I think he was a very good actor. Technically I only saw him in action scenes. D.W. – In your opinion what do you think a black belt is? H.N. – A shodan is someone who knows and can demonstrate basic body movement. A sandan is someone who can apply these body movements. D.W. – Do you take into consideration a person’s age when grading him? D.W. – When we speak of the spiritual part of karate, what are we referring to? Is it the religious definition of spirit or is it the attitude definition? H.N. – I think we are talking about the attitude definition. For example if we want to push through a wall, we must show a strong spirit to increase the power. Americans understand this very well. Karate does not have any religious overtones, however, many of its practioner’s may be followers of Buddhism or Shintoism. Karate does not follow any particular religion. D.W. – Do you think it is a good or a bad idea that karate gets into the Olympics? H.N. – I think it is both good and bad. It is good because many young people will train even harder if it becomes an Olympic sport, but it is bad if this becomes the main focus of karate. Remember only 10% of karate students care about it becoming an Olympic sport . The rest, 90%, are not interested in it becoming a sport as they do it for different reasons. Therefore it must not be the total goal of karate to get into the Olympics. D.W. – What about Tae Kwon Do? How did it get into the Olympics ahead of karate? H.N. – I think it was many factors and the IOC (International Olympic Committee) is very political. D.W. – How many countries do you teach karate in at the present? H.N. – I am trying to cut back on my travel, but I think forty or fifty countries. D.W. – If you were going to tell a young person just starting out in karate what the most important aspect of the technical training is, what would it be? H.N. – I would tell him to concentrate on body dynamics and how to use the body to create the maximum amount of power using the entire body. D.W. – What is more important speed or power? H.N. – Both are equally important as they create shock power when put together. This is what makes a karate technique so powerful. D.W. – Shuri Te and Naha Te, which is better and why? (Note: Shuri Te refers to Shorin styles of karate and Naha-Te refers to a group of similar styles, such as Goju-ryu, Uechi-Ryu, T’oon Ryu and Ryuei-ryu). H.N. – Both are good. They both have the same purpose and the same result, which is self-defense. Shuri te is more long distance and big motions and for fighting on flat areas, while Naha te is more for fighting in short distances and in a smaller area. Students should study both to be complete fighters. 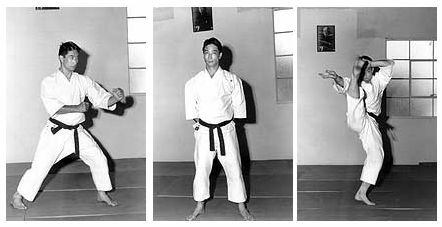 D.W. – In several photos we see Master Funakoshi using weapons, yet in Shotokan you do not practice weapons. Why is this? H.N. 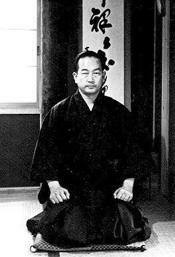 – I think Master Funakoshi was interested in weapons training but he did not teach weapons in his classes. I don’t know why. 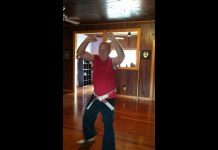 D.W. – What about studying other styles of martial arts like grappling or Tae Kwon Do? Is this a good or a bad idea? H.N. – You must first reach a certain level in your own art before studying other arts. Too much looking around is not good as it becomes confusing. You must have a strong base of knowledge. D.W. – What is your opinion of Tae Kwon Do and where did it come from? H.N. – I have no special opinion of Tae Kwon Do. They have nice kicks but I do not know where it came from except that in the beginning, the forms they teach were the shotokan forms. I do not know where General Choi trained. D.W. – Why do you think that it has become so popular when karate has not become so popular? H.N. – I don’t know why. I think maybe it is like music: many people can play musical instruments but few can play Beethoven’s music. It is too difficult. D.W. – When you judge kata in international competition what is it you are looking for? D.W. – Do you have any one favorite kata? H.N. – No, no one favorite kata. D.W. – Where did the kata Unsu come from? Was it created by the JKA? H.N. – I don’t know where it came from. I think maybe it was originally Arakaki Unsu but has been changed over the years. Certain instructors would change it depending on what they felt was appropriate until it became what it is today. D.W. – Is there any one person who you think is the best kata person you have ever seen? H.N. – There are many good kata people, but Mr. Kanazawa and Mr. Mikami are both very good. D.W. – What would you like to see written about you as your legacy? H.N. – Oh I don’t know. Maybe Mr. Nishiyama is a mean and stubborn person. (We both again laughed very loud at this). D.W. – What is kimi? H.N. – Kimi is a principle and every move must have kimi in it to be effective. It is best described as high focus of energy in a short period of time, which results in high shocking power. D.W. – What is the difference between a boxer’s left jab and karate practitioner’s left kizama zuki (a jab-like punch done off the leading side or front foot)? H.N. – The purpose of the technique is the difference. In boxing the jab is used to set the person up for a right hand or a left hook to score points in a boxing match. In karate the purpose is to finish the person with one technique like with the sword’s one cut, one life. D.W. – How has the Code of the Samurai influenced karate? H.N. – This is often confusing to people. The samurai were professional soldiers. They worked for their boss. The martial arts are different they are about personal development to become a better person. H.N. – I would like it to be the exact same thing teaching traditional karate as it is today. We must remember that karate is not a science. It is an art. We use thescience to improve the art form. H.N. – No problem, no problem, you are welcome.